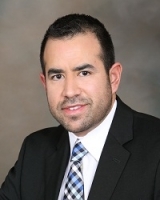 Marcelo Trevino is a Senior Vice President of Regulatory Affairs & Quality at Applied Medical, a leading provider of breakthrough technologies for Minimally Invasive and General Surgery, as well as Cardiac, Vascular, Urologic, Colorectal, Bariatric, Obstetric, and Gynecologic specialties. Marcelo has over 20 years of experience in Quality and Regulatory Affairs in multiple leadership roles. He has an extensive knowledge of medical device management systems (ISO 13485, ISO 14971), domestic medical device regulations: USA (FDA) and international medical device regulations: Australia (TGA), Brazil (ANVISA), Canada (Health Canada), Europe (Ministry of Health), and Japan (MHLW / PMDA). Mr. Trevino holds a B.S. degree in Industrial and Systems Engineering and an MBA in Supply Chain Management from the W.P. Carey School of Business at Arizona State University. He is also a certified Biomedical Auditor through ASQ (CBA), a Quality Management Systems Lead Auditor by Exemplar Global and has consulted with several corporate executives in medical device firms to implement different process and quality improvement projects. Mr. Trevino has experience working on Lean Six Sigma Projects and many Quality/Regulatory Affairs initiatives in the US and around the world regularly publishing articles to assist corporations in their quest for exceptional quality systems/regulatory compliance, conducting Supplier Audits and Third Party Audits through Notified Bodies.